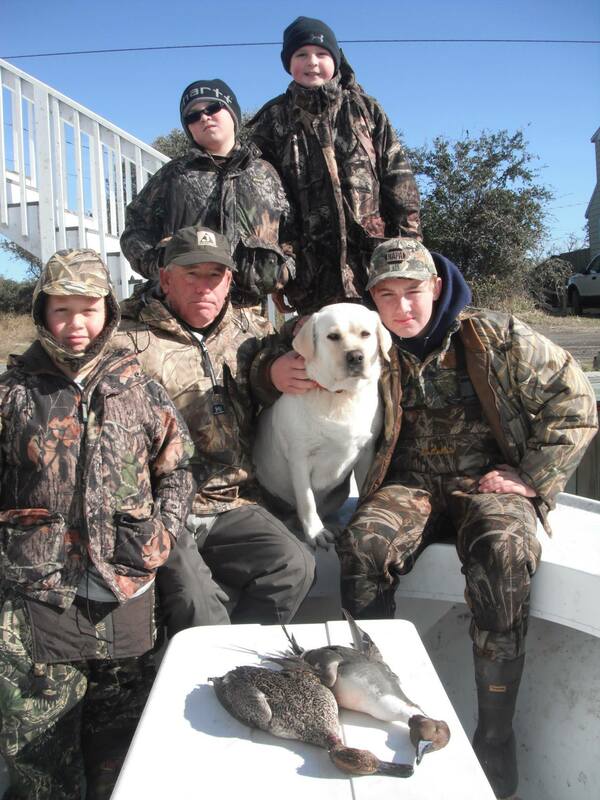 For over 75 years, people have traveled from far and wide to gun waterfowl in the swamps and impoundments of mainland Hyde County, NC and on the shoals of the Pamlico Sound. 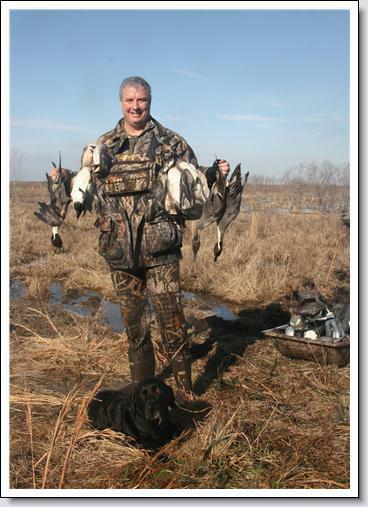 With over 200,000 waterfowl visiting the area annually, it comes as little surprise that this has become such a well known destination. During the winter months when most coastal tourism locations are winding down for the season, this area becomes alive with hunters. Chock full of waterfowling heritage that dates back to the pre-market gunning days, this area has a history of producing some of the best waterfowl hunting opportunities anywhere in the country. 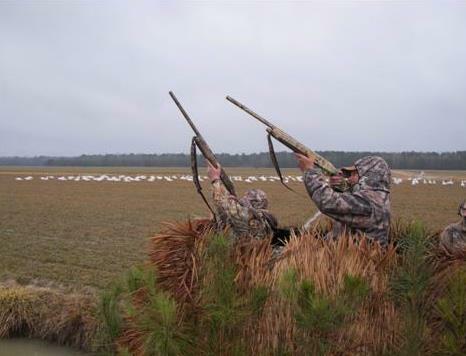 From hunting the tundra swan and Canada geese in fields and impoundments, to puddle ducks in flooded grain fields and impoundments and along the Outer Banks, we can design a guided duck, goose, swan, or combination hunting trip that appeals to you. Service and a genuine commitment to excellence in all that we do are key tenants that set Dare To Hyde apart. 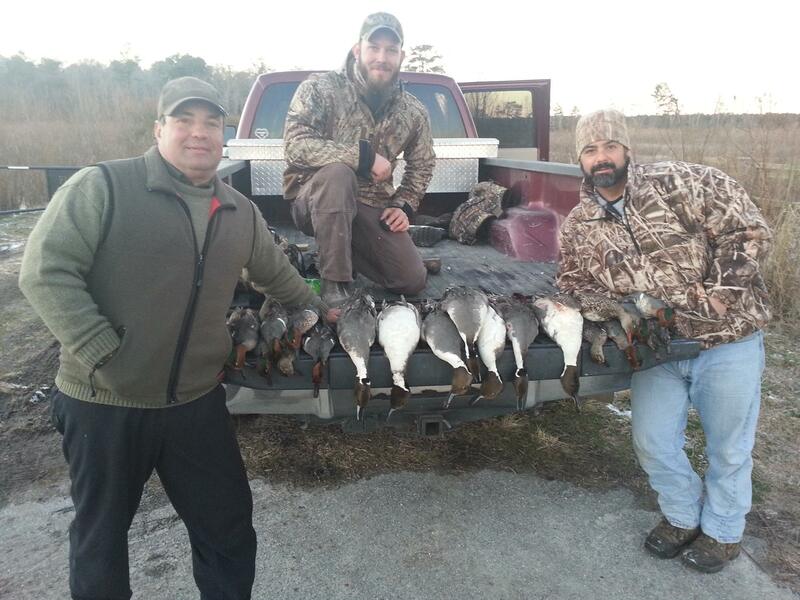 With nearly 70 blinds in 15 impoundments which encompass 3000+ acres of flooded waterfowl habitat in Eastern NC, there are few others that can offer better wild duck hunting in North America. 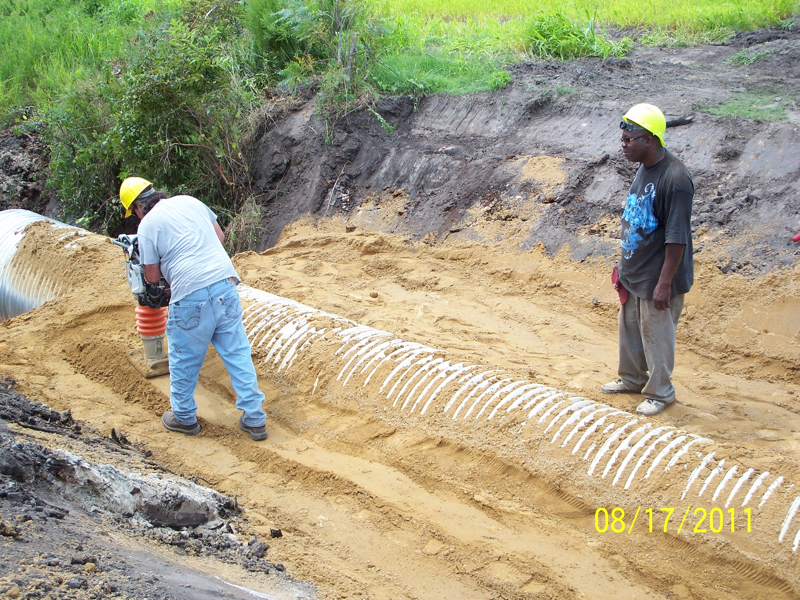 We have one of the strictest blind rotation policies in the industry, and work tirelessly to insure all habitat areas are not over-pressured and are maintained to the highest of standards. We offer several different hunt types depending upon your target species and weather conditions. MOST POPULAR! 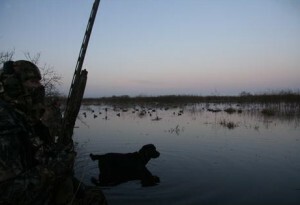 Hyde County Impoundment Duck Hunt: These guided hunts take place in flooded grain fields or managed moist soil impoundments surrounding Lake Mattamuskeet. 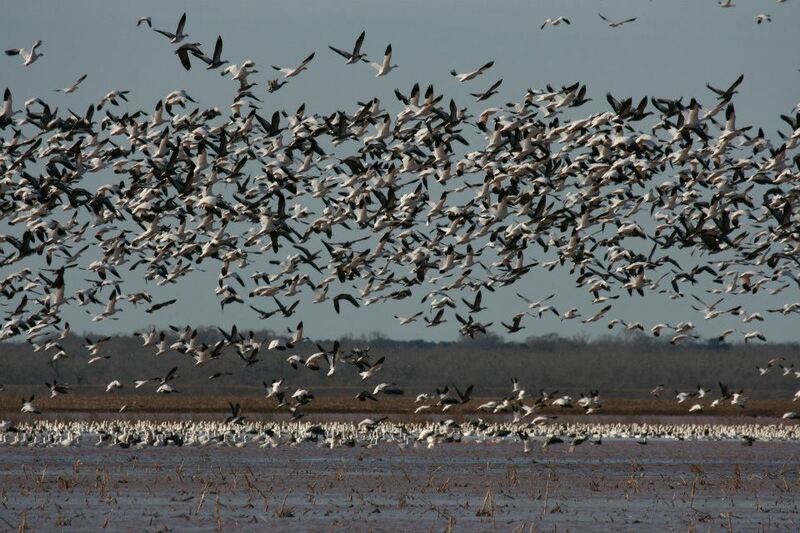 Hundreds of thousands of waterfowl use the Mattamuskeet NWR and the nearby Pamlico Sound as a wintering and resting area and fly out to nearby fields and/or impoundments to feed during the day. Common species include: Pintail, Wigeon, Bluewing and Greenwing Teal, Ringneck, Black Ducks, Mallards, Wood Ducks, Shovelers, and Gadwall. 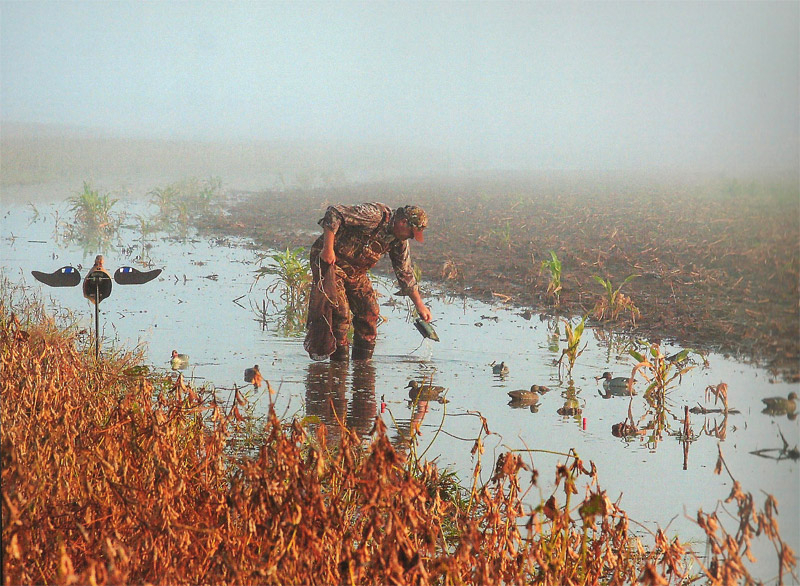 We strive to offer the best guided duck hunting available. 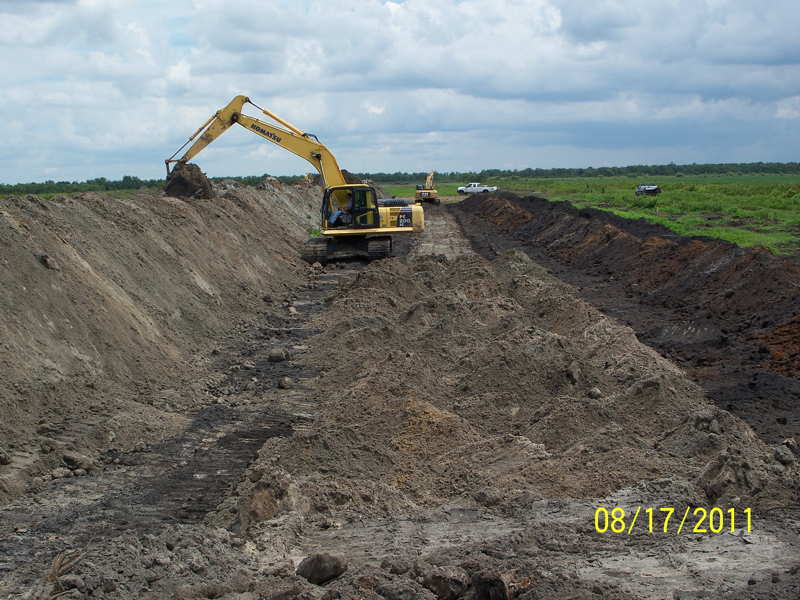 Through our extensive array of impoundments and hunting locations, years of management and waterfowl hunting experience, and dedication to only the best for our customers, we are able to provide an experience like none other. Why travel to Arkansas or Louisiana to hunt flooded grain fields when you can experience the same type of hunt, abet with more success, right here in NC! 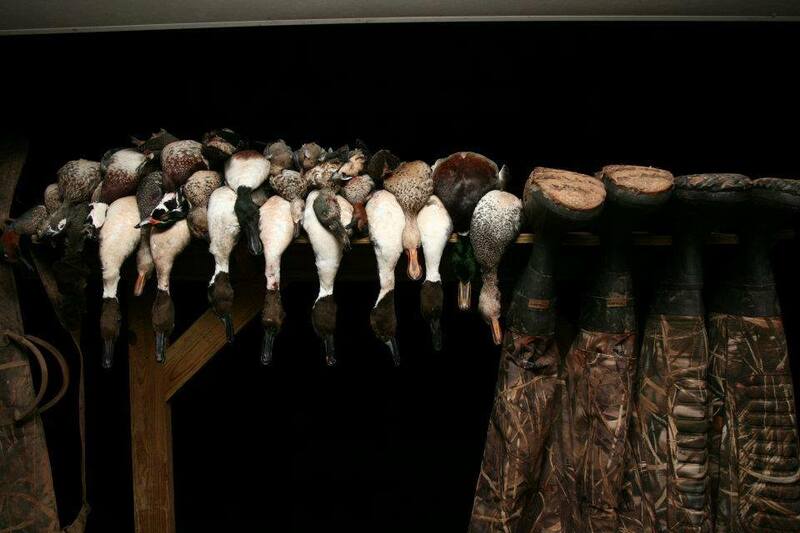 Please visit the NC Duck Hunting Page for additional information. MOST UNIQUE! 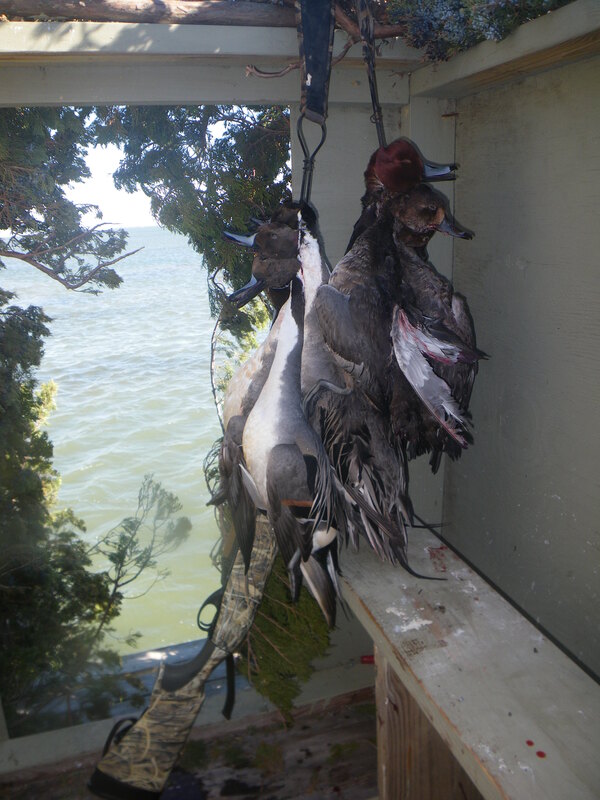 Ocracoke Curtain Blind or “sinkbox” duck hunt: These hunts take place on the sand and grass shoals behind Ocracoke and Portsmouth Islands. 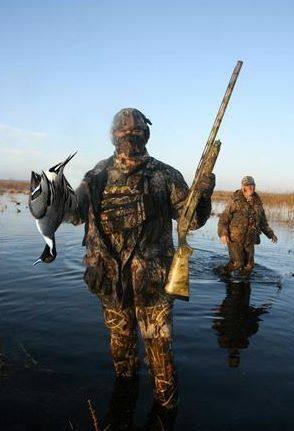 Long the destination of thousands of pintails and redheads, this style of hunting is one of the most unique forms of wild duck hunting in the world. When participating on these hunts you will stay in the famous Berkley Manor, which was first opened as a waterfowl lodge in 1951. 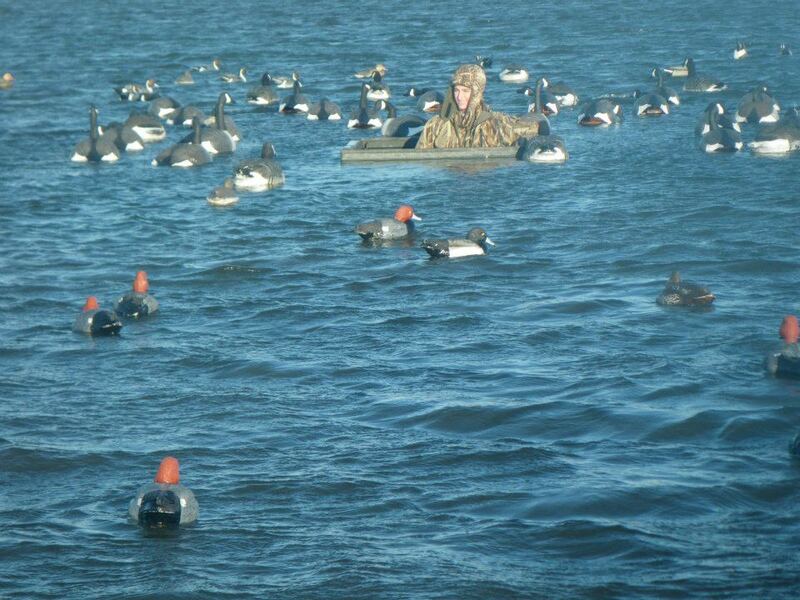 Duck Hunts take place on the open water from pit blinds with adjustable canvas curtains that allow adjustment for tidal conditions (hence the name “Curtain blind”. Primary species targeted on these hunts are Pintails, redheads, and brant. 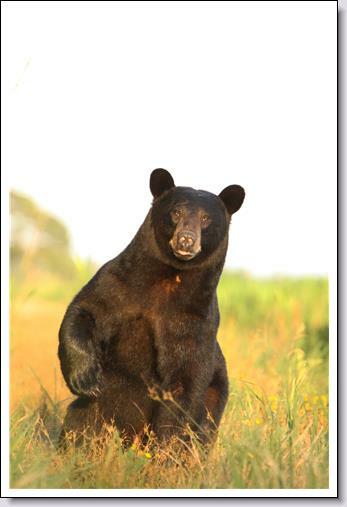 Please visit the Berkley Outdoors website for more information on these hunts and packages. 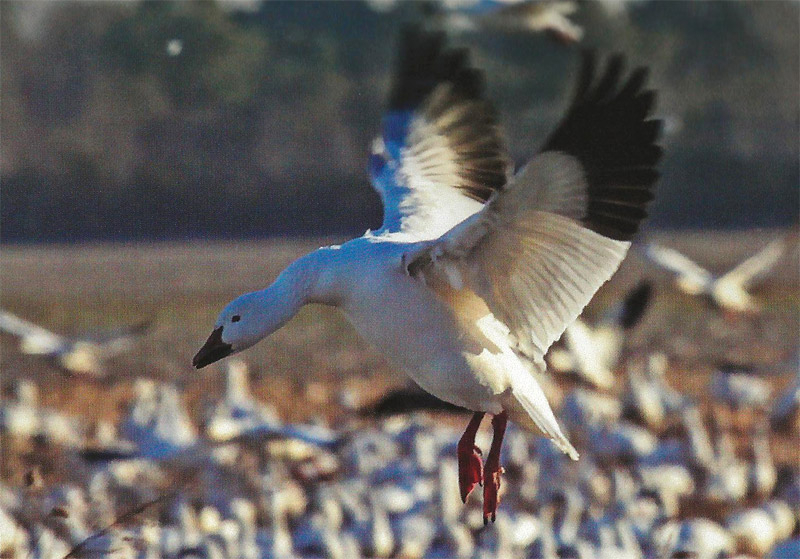 Tundra Swan Hunt: Home to the largest wintering population of tundra swans in the world, the area surrounding Lake Mattamuskeet is a top destination for those looking to bag one of these trophy birds. Each year, the NC Wildlife Resources Commission holds a lottery for 5000 swan permits. If you are selected for a permit, you are allowed to take one swan during the waterfowl season. Please give our friendly staff a call for more information on how to apply for tags. Guaranteed harvest hunt. 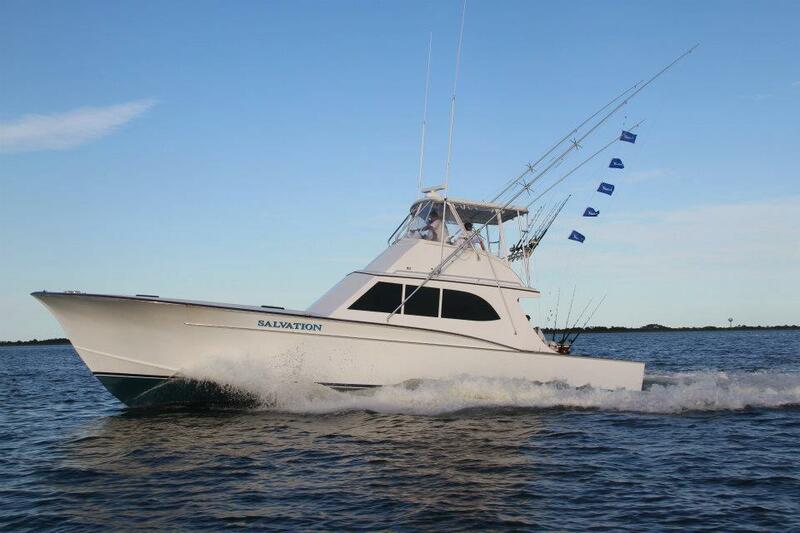 For additional information, please visit the Swan Hunt page.